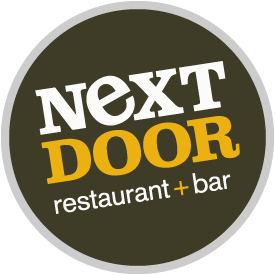 Ben's Next Door | American Cuisine & Bar | Washington DC | U St. Established in 2008. Next Door first opened it's doors on Dec. 26, 2008 right "next door" to Ben's Chili Bowl. The business was started by the second generation sons who currently run the famous Ben's Chili Bowl. Next Door has the same warm feel as Ben’s Chili Bowl but with a completely different flair. We offer a variety of dishes that include our incredible Shrimp & White Grits, Crispy-Skin Salmon, and our top seller, Brined Fried Chicken with “perfect” mashed potatoes and kale.